Minerva Rus can raise the dead. And it might get her killed. Minerva’s life has never been the same since the childhood car accident that paralyzed her and killed her best friend, Raven. But when the long-dead Raven reappears in her life, now as a very attractive grown man, she discovers that her photographic memory has the power to bring the dead back to life … heal her paralysis … and shape reality itself. Pursued by a rogue government agent who wants to eliminate her and her talents, Minerva must learn to control her powers to save herself and Raven. Because if she dies, he dies as well―again. 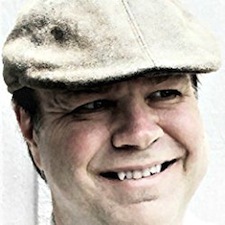 Stephen H. Provost is an author of paranormal adventures and historical non-fiction. "Memortality," his debut title on Linden Publishing's new fiction imprint, Pace Press, is due out in February 2017 and is available for pre-order on Amazon. An editor and columnist with more than 30 years of experience as a journalist, he has written on subjects as diverse as history, religion, politics and language and has served as an editor for fiction and non-fiction projects. His book "Fresno Growing Up," a history of Fresno, California, during the postwar years, is available on Craven Street Books, and his next non-fiction work, scheduled for release in June of 2017, will examine the history of U.S. Highway 99 in California. In addition, the author has published several books as Stifyn Emrys, beginning in 2012 with "The Gospel of the Phoenix" and also including the nonfiction works "The Way of the Phoenix" and "Undefeated." He also has published three works of fiction: "Feathercap" (children's); "Identity Break," (young adult science fiction/adventure) and an accompanying novella, "Artifice." The author served as editor of four young adult novels: the "Mad World" series by Samaire Provost - "EPIDEMIC," "SANCTUARY" and "DESPERATION" - and the award-winning "Lorehnin: A Novel of the Otherworld," Volume 6 in the Otherworld series by Jenna Elizabeth Johnson. He has worked in journalism as a news editor, sports editor and reporter for four daily newspapers in California, and is currently managing editor for an award-winning weekly, The Cambrian. He has worked as an educator and has been featured at occasional speaking engagements. He lives on the California coast with his wife, stepson, cats (Tyrion Fluffybutt and Allie Twinkletail) and dogs. 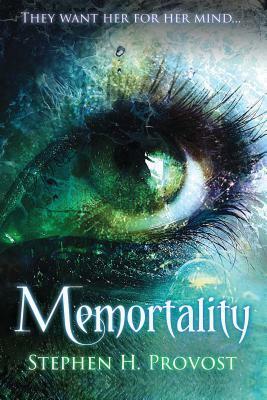 Memortality is about a girl, Minerva, who discovers she possesses a very special power: the ability to bring people back from the dead. When she was younger, she was in a car accident with her best friend, Raven. The accident left Minerva paralyzed and claimed Raven’s life. However, when Minerva is left with no escape from her abusive mother, she finds herself remembering Raven. Suddenly, Raven begins materialising mysteriously back into her life. Once Minerva discovers her powers, she is discovered by a secret government agent who begins tracking her down. It seems he wants to stifle her abilities, even if it means casualty. As we diver further into the story, we discover the agent has a deeper tie to Minerva than what was originally thought. Provost’s Memortality was a very easy read. The chapters are short, so it’s easy to breeze through and find a stopping point when needed without having to leave a chapter unfinished. The preface is beautifully written, but I felt like we lost some of that eloquence once the story began moving. It’s kind of like we changed voice, and I found myself wishing we hadn’t. But it was still a light and easy read, and moved very quickly. The characters were believable and developed. I didn’t dislike the book, but it was almost too simple for my liking. However, it would be a great Summer read!